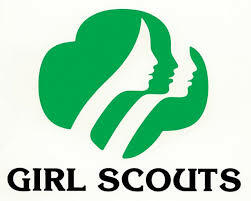 Tomorrow is National Girl Scout Day! This organization’s popularity has skyrocketed since its small beginnings a little over a century ago and has become an essential part of summer to many little girls all across the country. First Lady, Michelle Obama, was a Girl Scout when she was little and, not that long ago, childhood star, Dakota Fanning earned her badges in the Scouts. HECK! I’ve got a niece who’s in Scouts right now—HI, Tess! Just to give you an idea of how large this organization has become, here are just a couple numbers: currently, there are over 3 million members of the American Girl Scouts Organization. Over the years, the Girl Scouts have amassed 59 million alumnae and counting. They’re EVERYWHERE!—which is a good thing because their cookies are amazing! But what’s even more impressive than their current numbers, is just how small the Girl Scouts were back in 1912 when the first Girl Scout meeting was assembled. The entrepreneurial-spirited Juliette Gordon Low (or ‘Daisy’ as all the Scouts called her) gathered 18—only 18 girls in Georgia. Daisy’s purpose in gathering these original 18 Scouts was to give them an experience that would get them out of the house and away from the routine of a domestic lifestyle. In doing so, Daisy knew that the girls would develop into their own selves. She knew how good the great outdoors are for a girl’s mind, body, and soul. Daisy got these girls to embrace their community by giving back to it. They went hiking and camping. They would play basketball, learn to tell the time by looking at the sky, and study first aid. By 1915, the American Girls Scouts Organization was officially formed and it didn’t take very long for Daisy’s idea to takeoff. Soon, girls all over the country would become Scouts! Maybe it’s time for you to join the millions and understand just how great the Scout experience is. Happy, Girl Scout Day, Scouts!